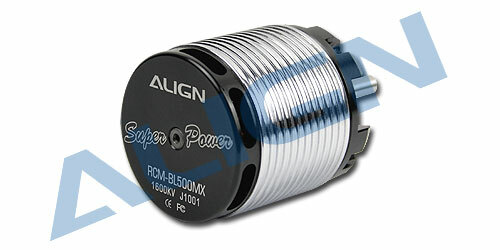 1.The 500MX motor incorporates radial fan in its end bell, creating powerful airflow to dissipate heat. 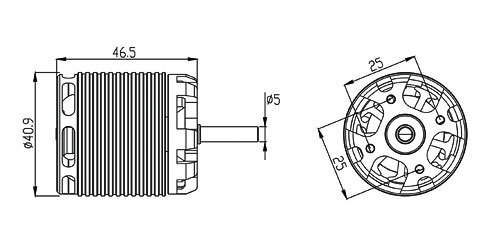 Tweaks to motor design and reduction in weight not only contributes to dramatic power increase, the high efficiency cooling system enables cooler operating temperature during and after flights when compared to motor of previous generation. 2.The 500MX motor armature had a special balance adjust to improve the serious shaking problem that other tiny motors have. 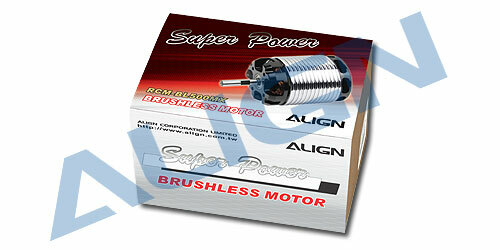 3.Maintenance free, high torque, high efficiency, stable and quiet. 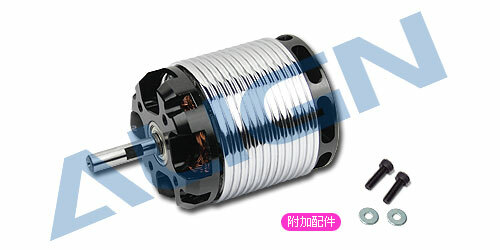 4.High-speed ball bearings, powerful magnetic outrunner rotor. 5.Suitable for Trex 500 helicopters. Suggested motor pinion gear: 12T for normal flights and 13T for 3D flights.